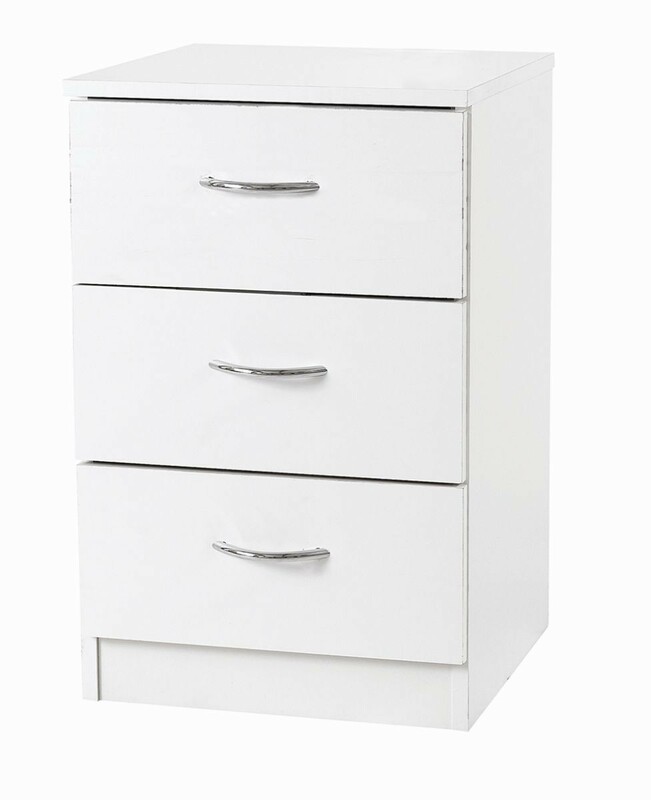 3 drawer bedside in a superior quality assembled bedroom furniture range at a budget price.Stylish silver colour handles throughout range.FREE Express Delivery. "Clean and well built, pre-assembled furniture.Metal handles add a touch of class.Great value bedroom furniture." Glued and dowelled for strength.